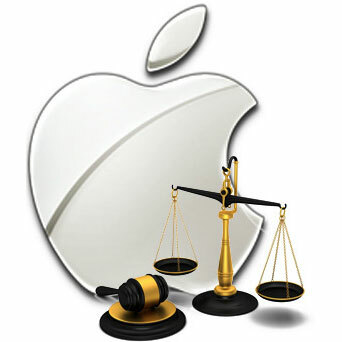 A federal court ruled on Monday that the FBI can not use the All Writs Act to compel Apple to bypass the security features of an iPhone belonging to an accused drug dealer in Manhattan. The case is similar to, but distinct from, the case that has lit the tech world on fire for the last two weeks involving the slain terrorist Syed Farook. The FBI is attempting to use the All Writs Act in that case, too, but it's in front of a different court. That judge already agreed with the FBI's argument, and ordered Apple to create a new operating system that would bypass iOS security features and allow the FBI to brute force attack the device. Apple has vowed to fight the order, claiming it to be a dramatic overreach by the government that endangers hundreds of millions of iPhone owners around the world. The extraordinary relief [the government] seeks cannot be considered 'agreeable to the usages and principles of law.' In arguing to the contrary, the government posits a reading of the latter phrase so expansive – and in particular, in such tension with the doctrine of separation of powers – as to cast doubt on the AWA's constitutionality if adopted. The All Writs Act was signed into law by President George Washington in 1789. Among other things, and in laymen's terms, it gave the courts the power to compel people (and thus companies, eventually) to do things in situations not otherwise covered by statute or law. The FBI and law enforcement has been using that Act more and more frequently in recent years, especially in cases involving modern technology and encryption. The Wall Street Journal reported that Judge Orenstein took exception to this use of the All Writs Act, and said in his ruling that modern issues of privacy and technology should be decided by modern lawmakers, and not by reinterpreting old laws. "It would betray our constitutional heritage and our people’s claim to democratic governance for a judge to pretend that our Founders already had that debate, and ended it, in 1789," the judge wrote in his ruling. Privacy advocates might well feel the urge to celebrate this ruling, and they should, but they shouldn't think this means Apple has won the more high profile California case involving the dead terrorist, let alone the broader war. We have two rulings by two judges in two courts of two states covering two separate cases. FBI Director James Comey admitted in a U.S. House of Representatives hearing that the outcome of the fight with Apple would be "instructive for other courts." That's true, but so will the Manhattan case. So far, we have one court saying the FBI is wrong to use the All Writs Act in this way, while another court said using that same Act in the same manner was AOK. Both can (and are likely to) be appealed, and dueling opinions almost guarantees those appeals will be heard, possibly all the way up to the U.S. Supreme Court. At which point, we will have a precedent one way or another. All that said, Judge Orenstein's ruling and unequivocal language strengthens Apple's legal hand as it fights to protect the privacy and security of iPhone owners.